Just tuning into my European Spa Tour series? Click here to start from the beginning and catch up! 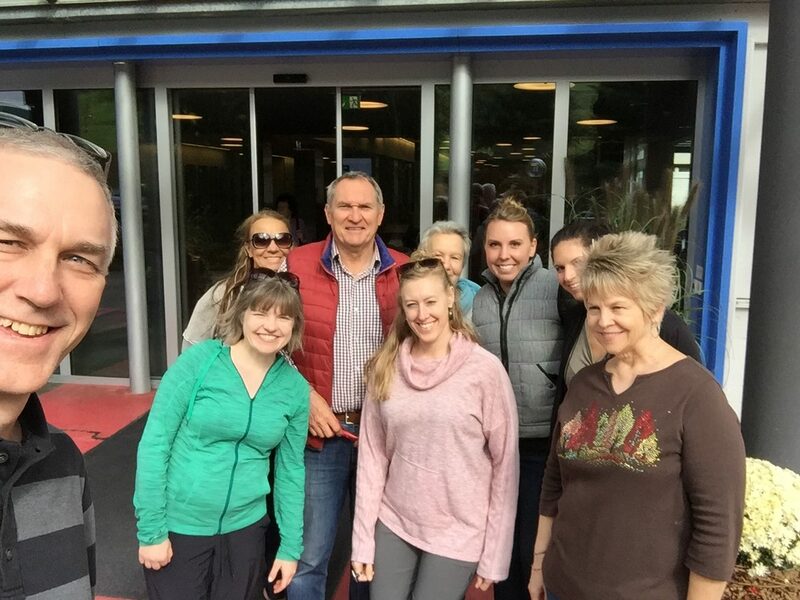 Of all the stops on our tour, I’m most appreciative of the opportunities to tour two rehabilitation centers and learn how massage therapy is integrated into the fabric of healthcare in some European countries. 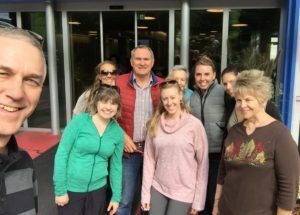 For our first stop, we toured the Reha Clinic in Bad Zurzach, Switzerland with our guides Thomas and Julia. 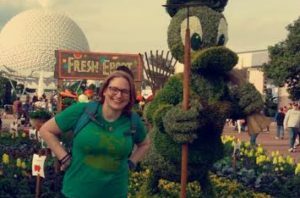 Julia trained as a massage therapist in Florida 25 years ago, but that training did not qualify her to practice massage when she returned to Switzerland. In Switzerland, she practices the Trager method. In the United States, many massage therapists know this as one kind of approach to massage or techniques they integrate into their traditional settings. Some of the East Village Spa therapists integrate similar techniques into sessions. In Switzerland, it is a more widely-recognized therapy and according to Julia, it is 80% covered by insurance. (Click here for a brief explanation of the Trager approach). The rehabilitation clinic was in a complex with a large pool and sauna facility that was open to the public and used by patients. The clinic itself was for stays of 2 weeks to 4 months with some outpatient care. I would compare it to a place people would go in America after a joint replacement surgery or hip fracture when they needed intensive therapy but not long term care. The facility employs 13 licensed massage therapists (Plus physical therapists, doctors, and nurses) and additional technicians to do wraps for patients being treated for lymphedema. I was most excited to learn how massage therapy is covered by the national insurance plans in Europe. As far as I understood, medical massage is covered in treatments like the Reha clinic, but the massages are quite different than what my clients and the typical massage therapy client would expect and if I’m being honest, they are probably not what the majority of our clients would want for their routine massage therapy, but these sessions would be immensely helpful in a rehabilitation setting. L-R: Thomas shows us how they make their saline towels for hot compress treatments, The massage treatment rooms in the new wing, and some of the treatment tables in the therapy center. Quite different than the atmosphere many Americans think of and prefer for massage. 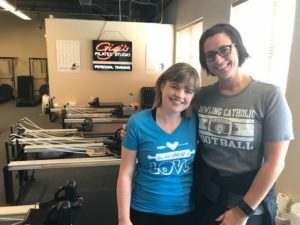 The following are the answers to my 3 most burning questions for our guides about what it is like to work as a massage therapist in a setting like their clinic. Q: What kind of training is required for massage therapists in a facility like yours? A: Typical is about 2 years of full-time (40 hours/week) study to become a licensed massage therapist. A relaxation or spa therapist can learn basic “feel-good” massage in about 2-3 weekends, but relaxation massage is not covered by insurance and isn’t licensed. Relaxation massages are out-of-pocket expenses. According to our tour guides, the licensed medical massage therapists respect the spa and relaxation massage therapists and see a need for their services as well. Q: What type of services do the medical massage therapists offer and how do their services fit into the comprehensive medical treatment? Left: Warm water pools for aquatic rehabilitation. Right: Hydrotherapy tubs that massage therapists could use for treatments. Our guides said that the types of treatments are generally prescribed by standard guidelines depending on the condition they’re being referred for (i.e. how many hours of massage, aquatic therapy, exercise, physical therapy, etc…). For example, before a patient comes to the clinic to recover from a hip replacement, he gets a plan of care. The treatment team meets weekly for an hour to discuss about 30 patients in their care and their schedule of therapies. Massage sessions are typically 25 minutes long except for lymphatic drainage therapy for lymphedema which usually consists of a 30 minute morning session and a 60 minute evening session. Q: What kind of ambiance (lighting and music) do you provide for massages? Q: What is a typical workday like? A: Perhaps a team meeting to discuss patient care, a full day of back-to-back prescribed sessions with about 2 minutes in between to do notes and clean your table and supplies, a short lunch break. A typical day for a massage therapist in their clinic is far busier and more fast-paced than for most American massage therapists I know, especially because the sessions are so short and they see so many patients. 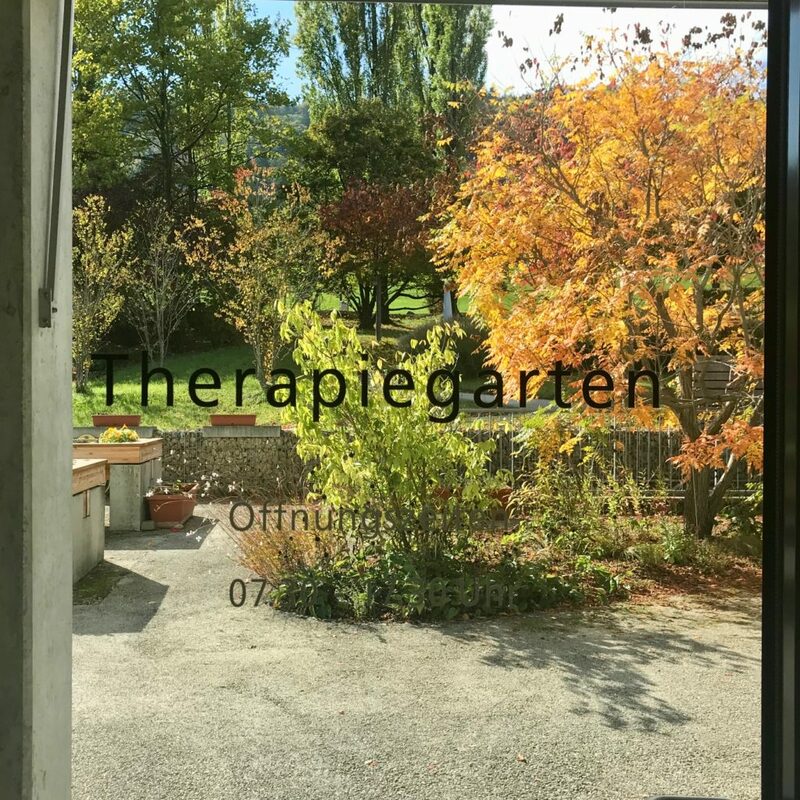 I LOVE that massage therapy training in Switzerland is so comprehensive! I have always wished that we had tiered licensing in the United States for therapists who wish to progress into a more medical/treatment oriented setting v. therapists who wish to provide relaxation and stress-relief massage only. I was glad to return to our clients and report that “Yes, massage IS covered by their national healthcare, but not the kind of massage therapy that you are accustomed to and only when prescribed for a particular ailment.” I suppose a benefit of not having massage covered under American insurance is that we can completely customize treatments for our clients and make sessions relaxing, therapeutic, and exactly what our clients want on a given day. Overall, because of the amount of training for therapists in the medical settings and the very low requirement of training in the spa and relaxation settings, it is hard to accurately compare Swiss and American massage therapists or make accurate professional comparisons, but this tour was probably the highlight of my trip and I’m glad our hosts were able to take time out of their busy therapy schedules to visit with us! How do massage therapists manage their own pain? One of the most frequently asked questions I heard when I was practicing massage was “how often do YOU get a massage?” As massage therapists, we learn to get a good read on our bodies and learn what works well to prevent or manage our own pain. Some of the LMTs on our team shared what works best for them, and their favorite referrals. Camdine: I use a Lacrosse ball on my hips, back, and neck to massage painful spots. 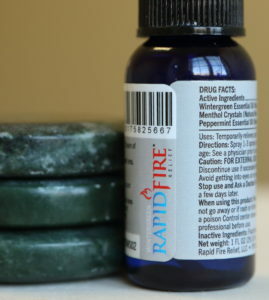 Camdine also uses locally produced Rapid Fire to reduce pain. 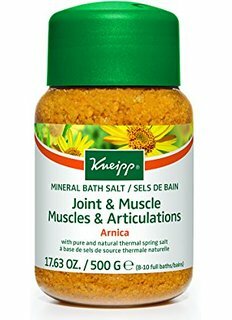 Julie: Daily stretches, epsom salt and Kneipp arnica bath soaks 3x week, a glass of warm Pure Inventions Tranquility tea (with magnesium) before bed, Rapid Fire to control small areas of pain, regular massages and chiropractic care as needed. 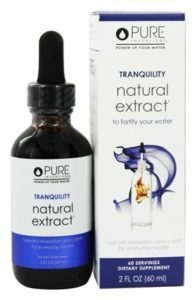 Julie’s favorite nighttime drink is the Pure Inventions Tranquility which contains chamomile, passion flower, and magnesium. Jamee: I use acupressure as a cure for everything but death, and I haven’t died yet. I see my personal massage therapist (co-worker Tiffany) regularly. I also purchased a Yoga trapeze that is a miracle for low back pain. Hannah M: Staying active after a hard day reduces tension for me. Brandi: Yoga and using a foam roller, a 30 minute daily walk, get adjusted at Shine Chiropractic weekly, Fadeaway Flotation monthly. 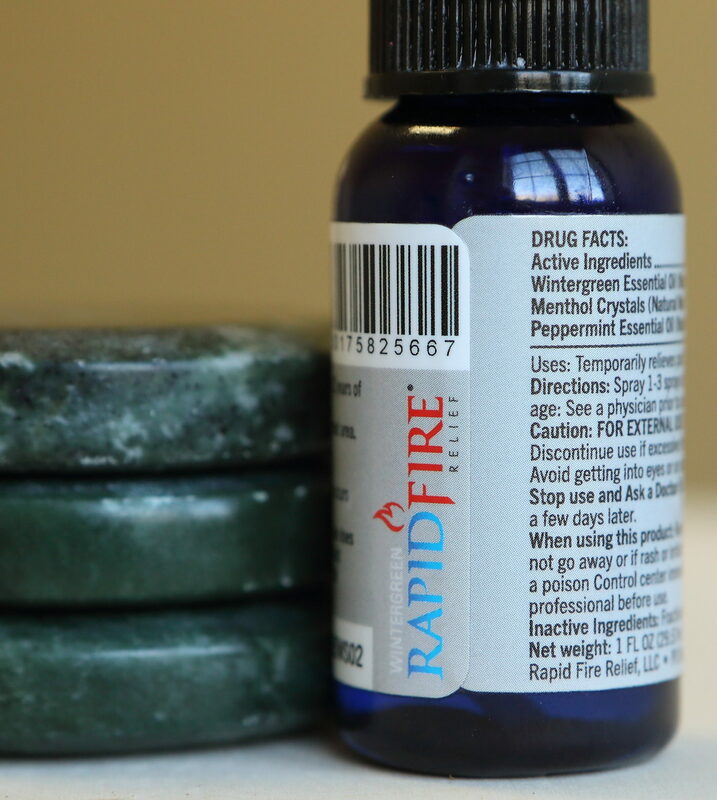 Most of our employees swear by Rapid Fire for muscle aches and tension headaches. Conny: I’m not in pain often, but if it happens, I either overworked something or an emotional issue came up. For physical pain, I use rapid fire and a soak in a hot bath with epsom salts, receive massage twice a month. A good book, a glass of wine, and a friend for heartache. Conny is especially partial to Kneipp bath salts because like her, they are from Germany. Cassie: The older I get the more my joints act up, especially after running, biking, and swimming. In addition to regular massage, I see Dr. Pulley for chiropractic care when I overdo it or something feels “off.” I have done regular pilates at Gigi’s Pilates for about 6 years. Sometimes stretching isn’t the answer (or isn’t the only answer). The strengthening techniques in Pilates really help my low back and knees from screaming after longer runs. If I miss to many pilates sessions, my body rebels and I get low back spasms that make it hard to run. I have learned the importance of strength training to keep everything working like it should! Want to try massage therapy or one of our favorite pain relieving products for your own aches and pains? Stop into East Village Spa at 601 East Locust or book online! When I was 22 (in about 2002), I picked up a small item from the floor as someone called my name. When I turned my head to see who it was, my neck caught. For a month, I had a stiff neck. Growing up, we never used chiropractic or massage therapy so my first instinct was to go to a walk-in clinic doctor. The doctor briefly assessed me, then told me I had arthritis and needed long term pain medication to treat this condition he presumed would plague me for life. That was that. I was too inexperienced to question him, but the visit literally took 10 minutes and I left thinking I had serious arthritis at 22. I took the medication for months, even though the pain had subsided after just a few days. 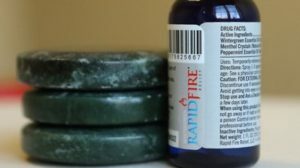 When the medication was pulled from the market after dangerous side-effects emerged, my pain never returned. I haven’t had any other issues related to that little injury and I truly believe, knowing what I know now as a massage therapist, that a trip to a good chiropractor coupled with a massage would have managed the pain I experienced at 22 just as effectively as the medication. Fun fact: that experience is one of the reasons I became a massage therapist! I believe that had I experienced the same kind of injury today, doctors would have responded differently. In fact, a study published in the Annals of Internal Medicine in 2012 showed chiropractic care and specific exercise were more effective than NSAIDs or Narcotics for treating neck pain. For acute or subacute low back pain, one of the most common reasons for physician visits, physicians are changing their tune as well. The American College of Physicians recommends in a 2017 report that physicians FIRST recommend treatment with heat, massage therapy, spinal manipulation, or acupuncture BEFORE resorting to pain medications. For chronic low back pain, physicians are instructed to recommend rehabilitation, spinal manipulation, stress management, exercises like yoga or Tai Chi, in addition to other non-pharmaceutical interventions. Where does massage therapy fit into the mix? Many studies have shown massage therapy to be an effective treatment for pain, especially low back, neck, osteoarthritis, fibromyalgia, and more. A summary of some of the research is available through the National Centers for Complementary and Integrative Health. The Touch Research Institute has many studies about massage therapy available online as well. Because more research is always beneficial and because the guidelines for physicians are evolving, you can make a difference. If you have had positive experience with massage therapy for pain management, be sure to let your physician know what you are doing. 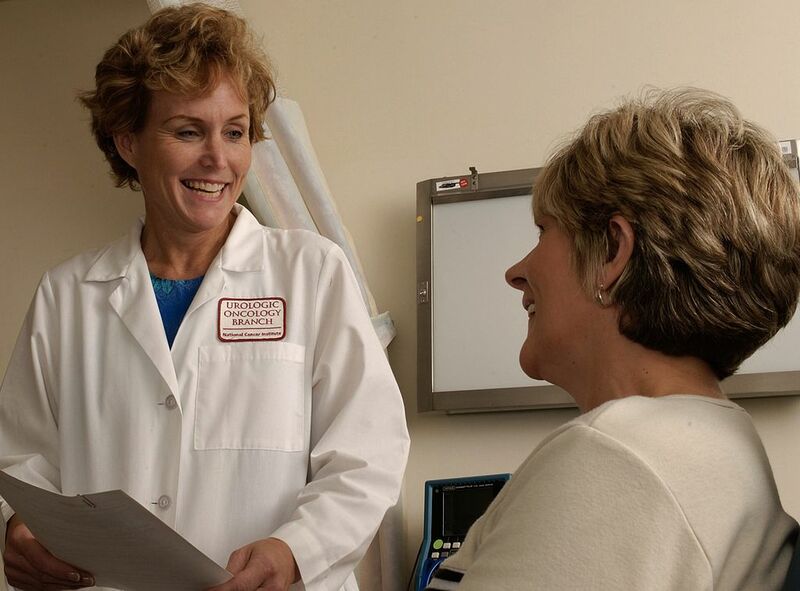 It is always important to let your physician know all of the wellness services you are receiving so they have the whole picture of your treatment. Because some are less familiar with the benefits of massage therapy or see it as “merely” a pampering service, hearing first hand from their patients about the relief they get from massage is helpful in shaping how they might approach others with similar conditions or how they might answer questions for patients who broach the subject of massage for pain relief. Haven’t tried massage for pain? We’d love to visit with you! Visit our website to learn more about our service and providers, or Book a service with one of our experienced, licensed massage therapists to see if massage therapy could be part of the solution for your own wellness and pain management.